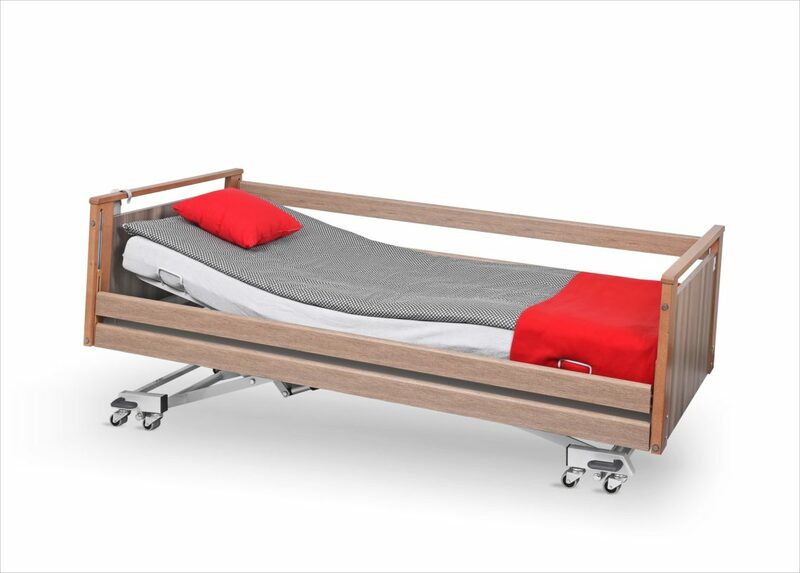 A rehabilitation bed – Metalowiec Sp. z o. o. 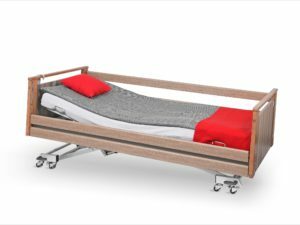 The bed lowers to a level of almost 20cm, which in the case of attempts to leave the bed by persons with consciousness disorders, reduces the risk of falling. 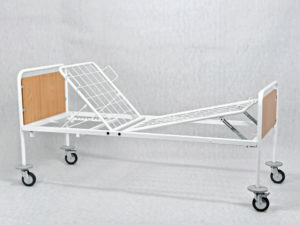 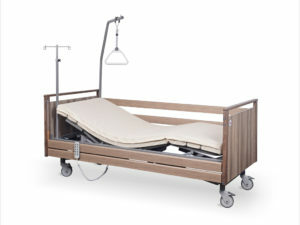 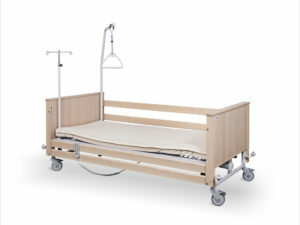 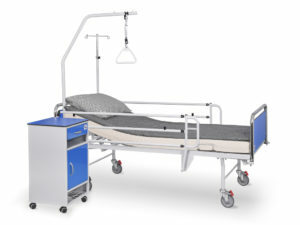 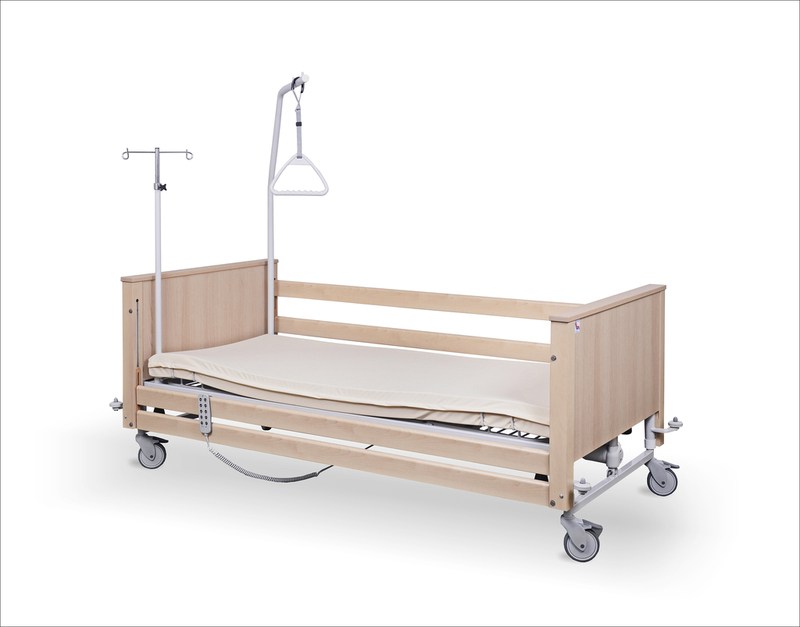 The wooden casing makes the bed ideal for long-term care in healthcare facilities and home care. 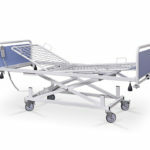 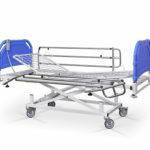 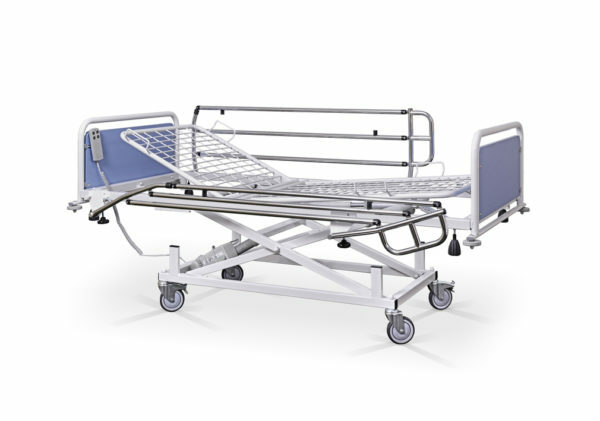 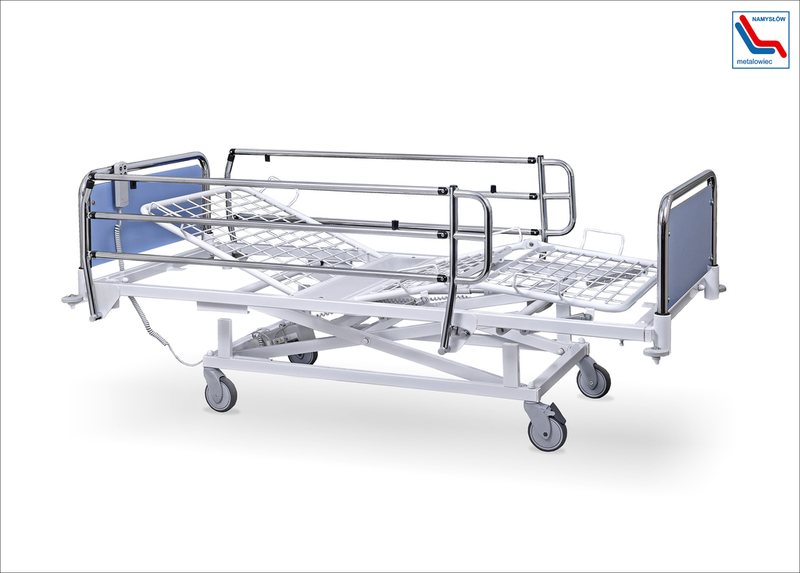 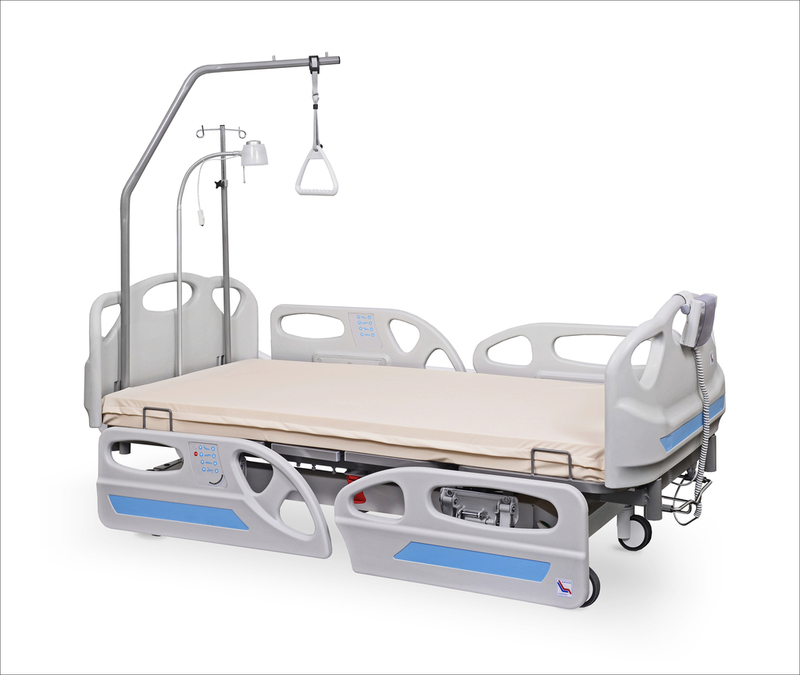 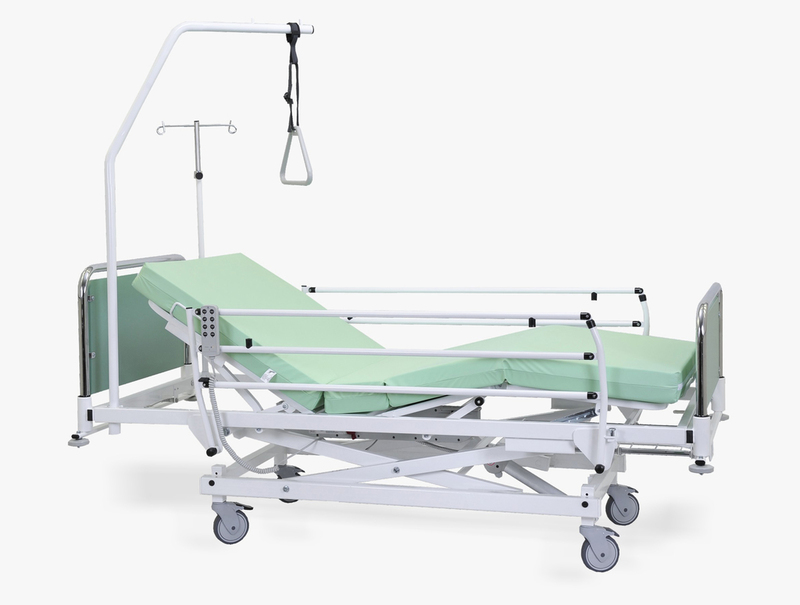 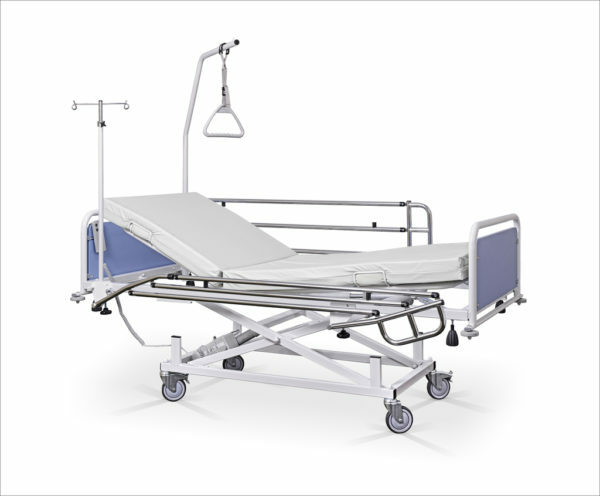 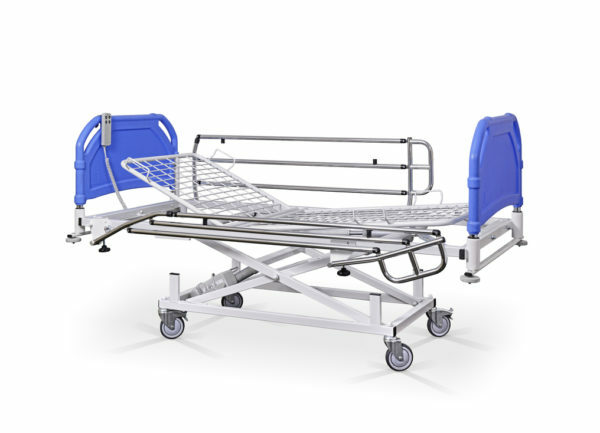 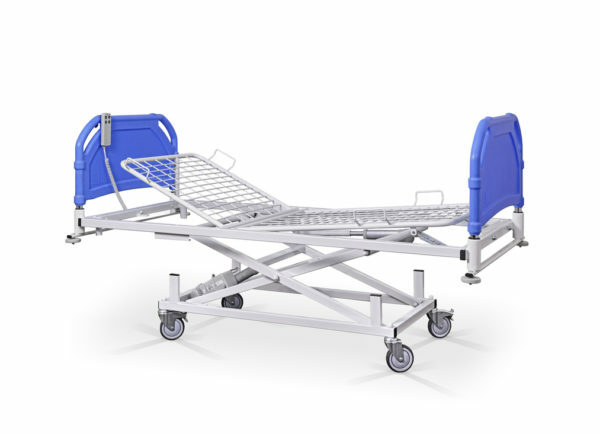 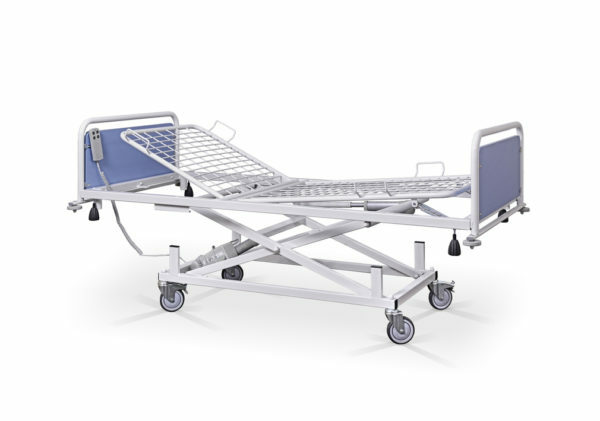 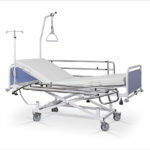 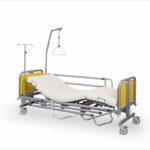 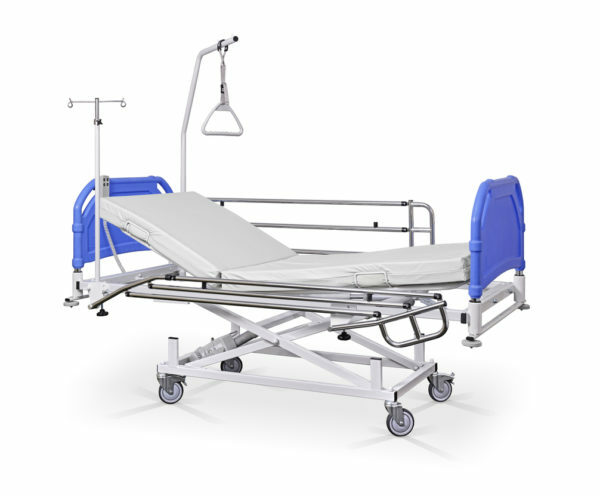 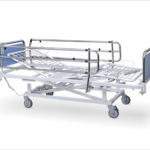 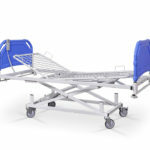 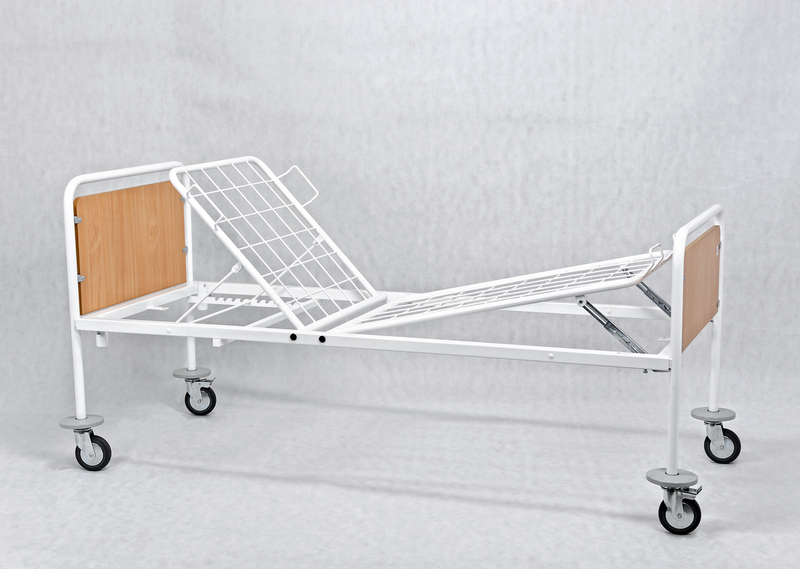 The bed is equipped with remote controlled electric actuators, which allows effortlessly setting the bed in different positions, which facilitates patient care, and gives the patient the feeling of comfort and safety. 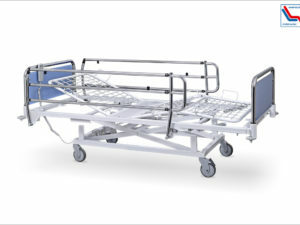 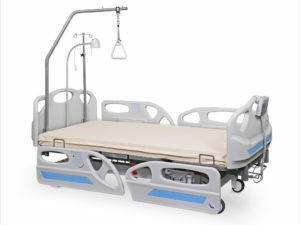 The B1/3S rehabilitation bed is intended for long-term care. 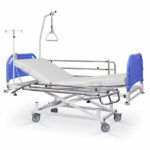 Its wooden frame makes it perfect for nursing homes, therapeutic and nursing institutions, hospices and home care.